Despite some transmission problems Larbre Competition’s Corvette C7.R qualified with the 10th fastest time in the GTE Am class at Le Mans. 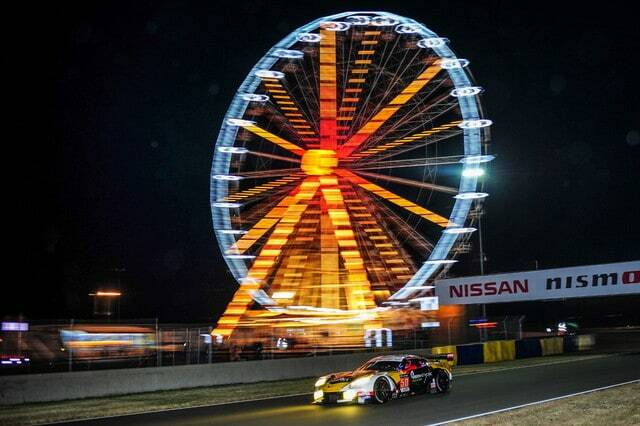 LE MANS, FRANCE — Larbre Competition’s typically pragmatic approach to Le Mans 24 Hours qualifying was once again in evidence on Wednesday and Thursday evenings (June 10/11) after the French squad set the 10th fastest GTE Am time. The five-time class winners have seldom prioritized the opening skirmishes of Le Mans week, instead opting to focus all its energies on preparing for Saturday and Sunday’s twice-around-the-clock endurance classic. And drivers Paolo Ruberti, Gianluca Roda and Kristian Poulsen subscribed to that same strategy by setting their fastest lap – a 3 minutes, 59.522 seconds – early in the first two-hour session on Wednesday night. Precious time was subsequently lost when the No. 50 Corvette C7.R developed a transmission issue, leaving the Val de Vienne-based team with little choice but to spend both of Thursday’s dry qualifying segments honing set-up for the unique demands of Circuit de la Sarthe. “We spent the four practice and qualifying sessions searching for a good set-up, and yesterday evening we were able to find something that will work for us in the race. But qualifying really isn’t that important at Le Mans; it’s all about being there or thereabouts come Sunday afternoon,” said Gianluca Roda. This weekend’s third round of the FIA World Endurance Championship is also worth double points, making a consistent and mistake-free race essential if the squad is to claw back ground in this year’s title race. “It’s been tough because we started out in the wrong direction with the set-up. But we’ve turned it around and the car feels better in race trim. We just need to stay out of trouble and drive a consistent 24 hours if we’re to make our way to the front by the finish. Le Mans is the world’s greatest race and this year is my sixth appearance. I really do love racing here,” said Paolo Ruberti. Friday sees Larbre Competition head to the city centre for the traditional Drivers’ Parade, a comparative calm before Saturday and Sunday’s storm. Team Manager Jack Leconte noted that the Corvette’s transmission problems cost the team preparation time, and that the car lacks the top-end speed and the fuel tank capacity other competitors have. The 83rd running of the Le Mans 24 Hours begins at 9 a.m. local time June 13.